The Art of Sea Kayaking Mendocino is an instructional adventure series that we created to give sea kayakers a unique Mendocino kayaking experience. 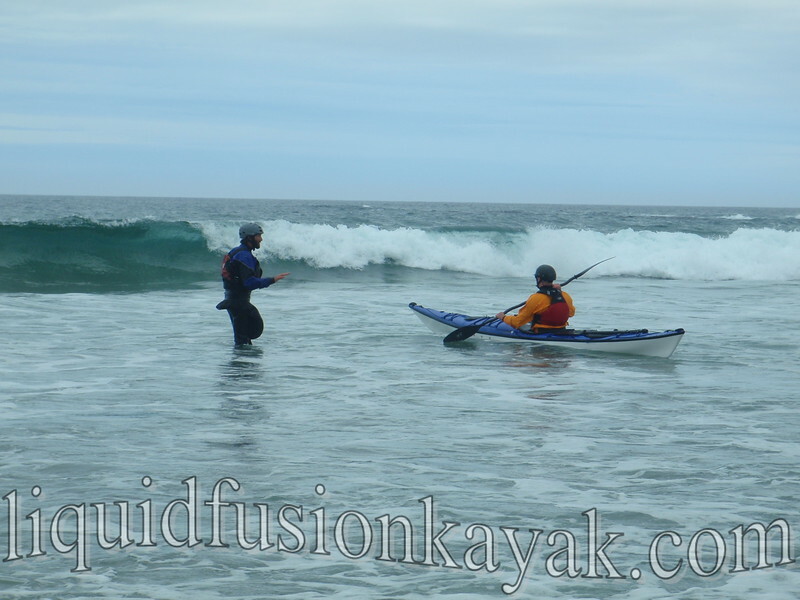 Each 2 day class/tour will enable paddlers to hone specific paddling skills while enjoying the best of the Mendocino Coast with Liquid Fusion Kayaking's Cate Hawthorne and Jeff Laxier. This series offers paddlers that opportunity to target what they want to learn and experience in Mendocino by joining us for a specific weekend. 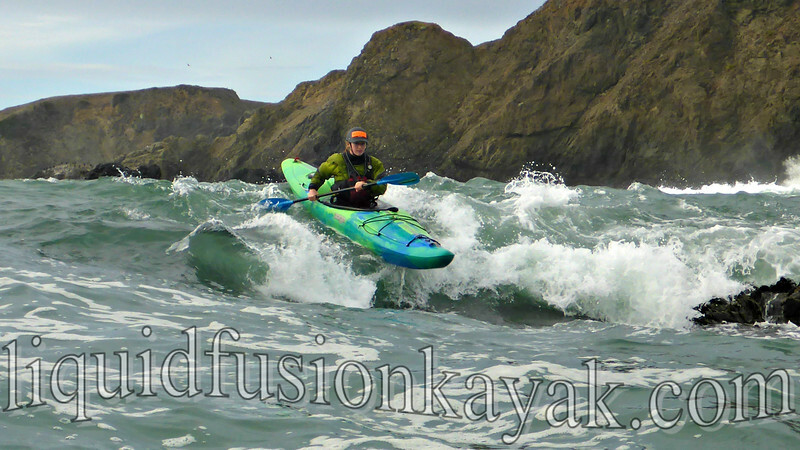 Or get an in depth Mendocino sea kayaking experience by doing several or all four of the adventures in the series. Starting in May, the series will be held the second weekend of the month. Saturday will be training and Sunday will be guided play and touring on a stretch of the coast that highlights the features that we are training on that weekend. 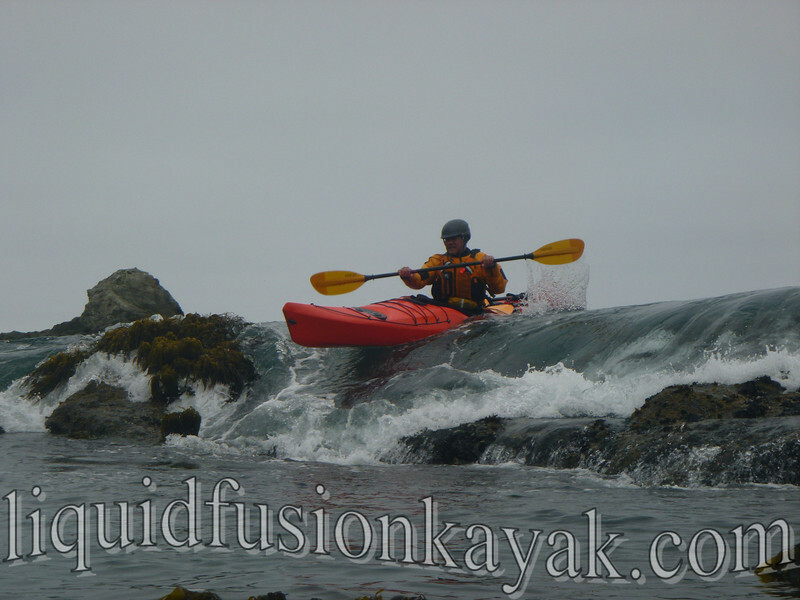 By doing the adventures with Liquid Fusion Kayaking, paddlers also get the most comprehensive view of the Mendocino Paddling Experience. Local knowledge of coastal conditions and unique paddling spots, flora/fauna, wildlife, historical points of interest, and tales of local happenings are all part of the experience. Touring Ocean Rock Gardens - Reading the water, traveling through rock gardens, scouting, paddling as a team, launching and landing among the rocks, planning, group management, and safety and rescue are essential skills for sea kayaking in ocean rock gardens. This is the perfect class for increasing water reading skills and comfort paddling in near the rocks and learning how to paddle rock gardens as a team. Surfzone FUNdamentals - Launch, land, and play in the surf zone with control, safety, finesse, and FUN!!! Boat control skills in the surfzone directly transfer to boat control in rock gardens. 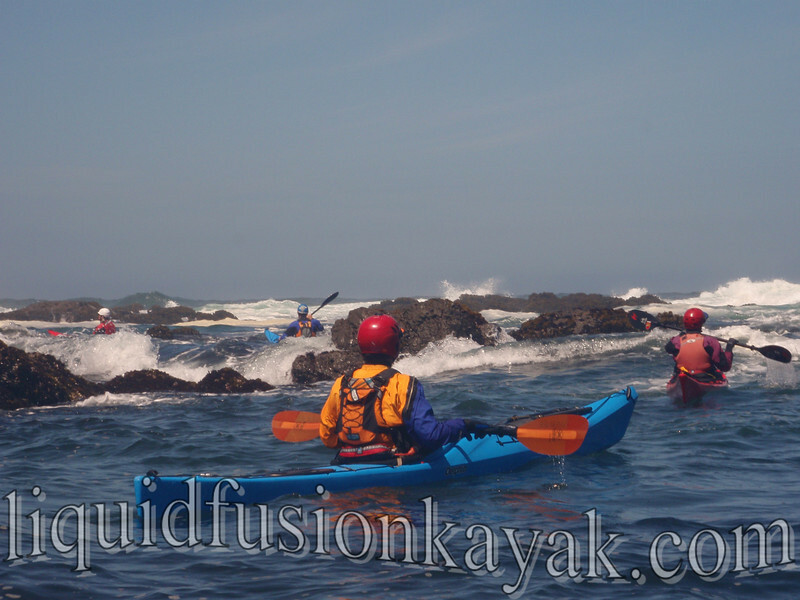 In this 2 day course, we will hone boat control skills as we paddle and play in different surf zones of the Mendocino Coast. The Art of Pour-Overs - How many pour-overs can you run in one weekend? We will see. This weekend isn't just about quantity but also quality. With our coaching, you will be running pour-overs with finesse and style. This is the perfect adventure for those who want to play and work on skills like timing. 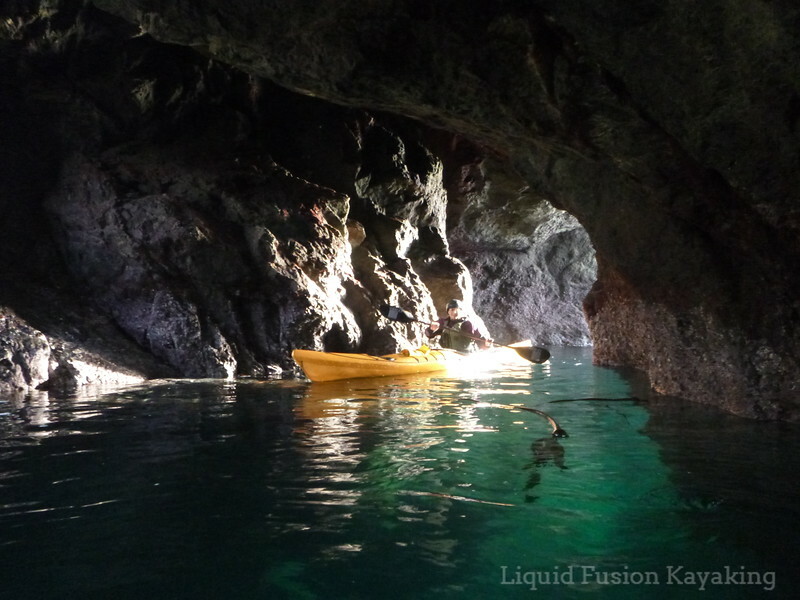 Magical Mendocino Sea Caves- Experience the magic of kayaking into sea caves. We share the tips n tricks for exploring sea caves as well as spend 2 days journeying into our favorite caves. We have a couple of tricks up our sleeve for this one - you might want to bring some lights. For extra fun - make it a 3 day weekend by adding a Whitewater of the Sea Adventure with us. We are super excited about this series. 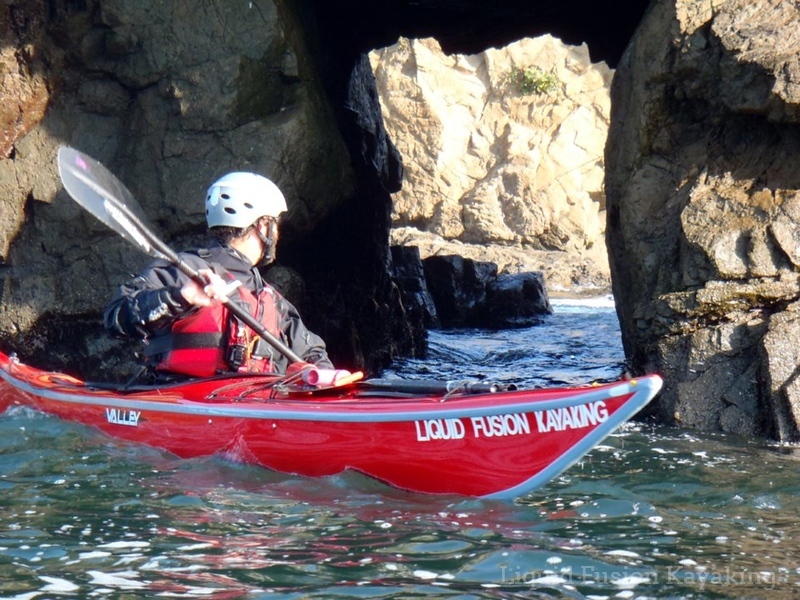 It gives sea kayakers the opportunity for specific skill-oriented rock garden instruction and the opportunity to experience different stretches of the Mendocino Coast that others rarely paddle. 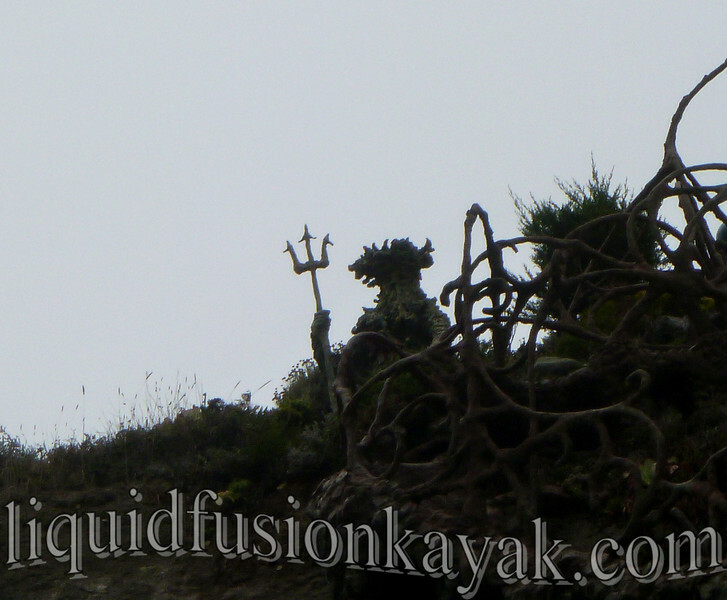 Come experience The Art of Sea Kayaking Mendocino with us! You might be surprised what we can show you.